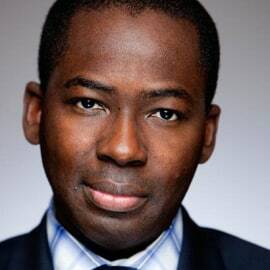 Dr Olajide Williams is Chief of Staff/Chief Medical Officer of the Department of Neurology, Associate Professor at Columbia University, and Medical Director of the Stroke Center at New York Presbyterian’s Comprehensive Stroke Center, Columbia University campus. His research is focused on community-based behavioral interventions with an emphasis on stroke disparities. He is an NIH-funded researcher, leading stroke expert, community health education innovator, and has authored numerous peer reviewed articles. As Founder of Hip Hop Public Health, Dr Williams targets economically disadvantaged urban environments through music, multimedia, and entertainment based programming in collaboration with music industry experts and artists. He has received numerous local, regional, national and international honors for his public health work, his scholarly activities, teaching, and his patient care, including a European Stroke Research Foundation Investigator of the Year award, Congressional “Rising Leader” Citation, New York State Proclamation, Columbia University Distinguished Teacher Award, American Heart Association’s Trailblazer award, and a National Humanism in Medicine award from the Association of American Medical Colleges. He is a member of the American Heart Association’s Founders Affiliate Board.